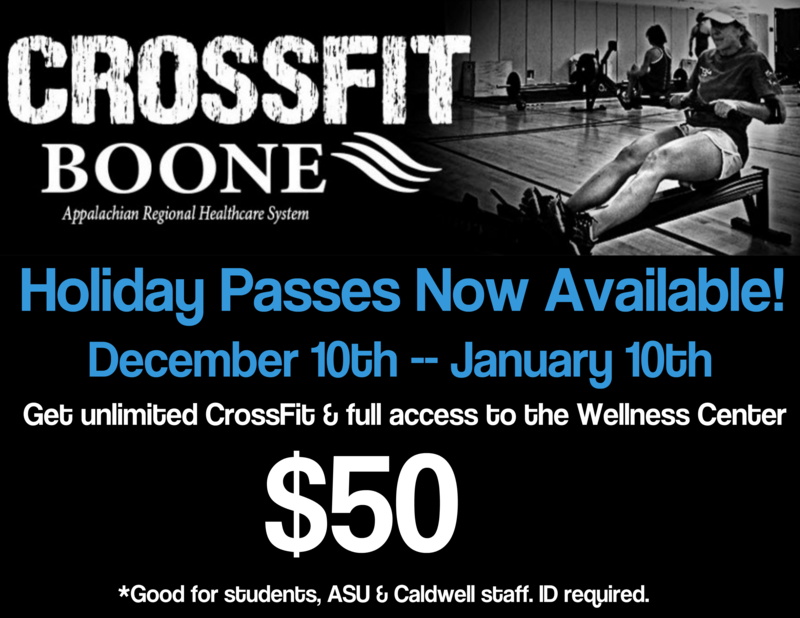 Get full access to CrossFit Boone and The Wellness Center with a Holiday Pass! Passes are good for students and ASU and Caldwell Staff with a valid ID. The 2018 pass is good from Dec 10th – Jan 10th. For Questions please contact Katie Greene.